Go Barre Community Baseball All-Stars! 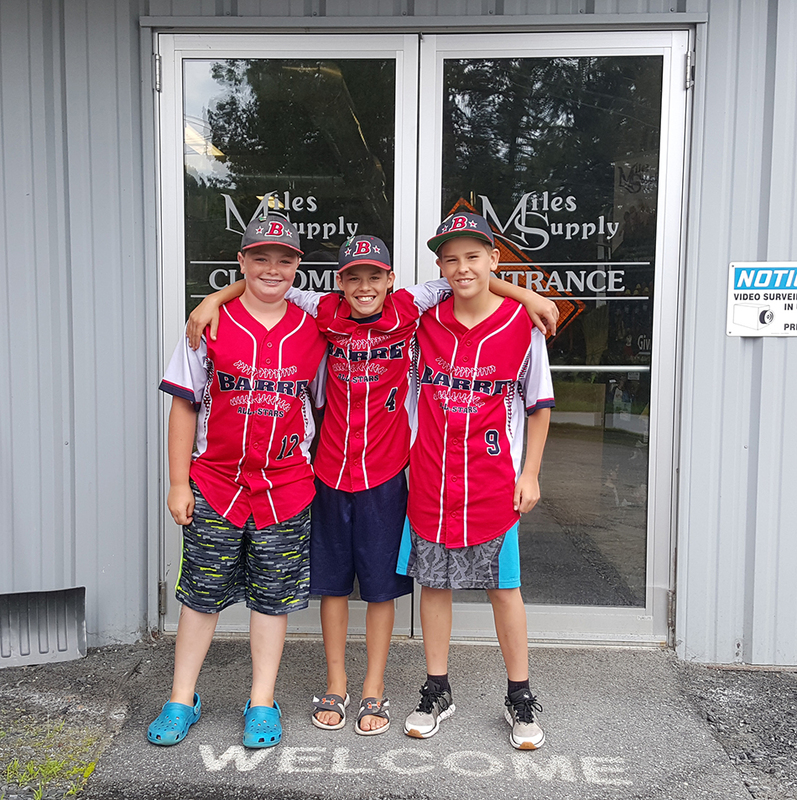 The boys at Barre Community Baseball All Stars are collecting for their trip to Regionals! YAY! Miles Supply is proud and happy to provide support for our local community. This, of course, is in addition to our MILES SUPPLY GIVES BACK program, which affords our customers to help in THEIR communities! !